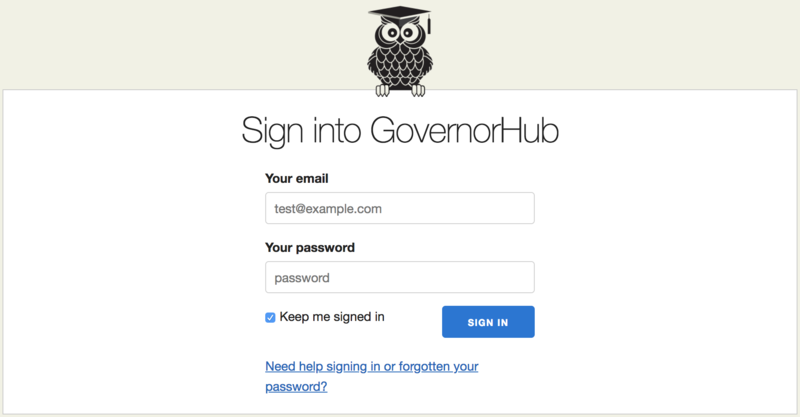 How to set up your account and sign in to GovernorHub. When you are invited to GovernorHub, you will receive a Welcome email from us. Click on the Set up my password link to go to the GovernorHub website and follow the steps to set up your account. 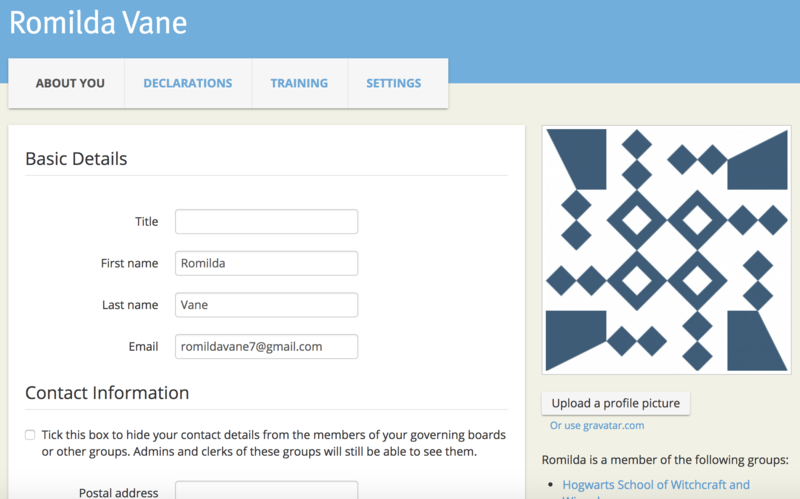 In step 3, you can choose whether you want to share your contact details with the other members of your boards, and whether you want to receive email updates from GovernorHub and any Governor Services organisations you subscribe to. Finally, in step 4, choose the password you want to use to sign in to GovernorHub by typing it into the password fields. You can also read the Terms and Conditions for using GovernorHub, and if you're happy with them, check the box to say you agree. When you're ready, hit the Let's go! button to confirm your registration. You'll be taken to your information page to fill out some details about yourself. 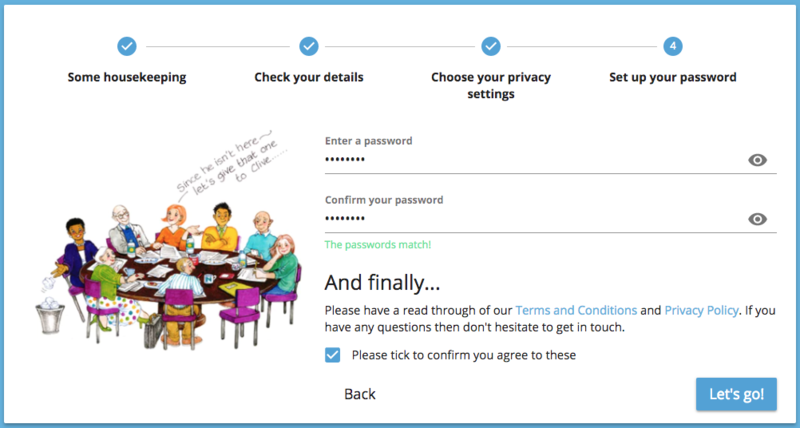 When the admin invited you, they may have already some of your details, so some fields may already be filled in. To update your details, just type in the boxes and a little green Saved tick will appear. Or just click on the News icon on your washing line to go to the news page. Great! You're now all set up on GovernorHub! If you are already registered on GovernorHub, use your Internet browser to go to https://governorhub.com. At the welcome screen click on the blue button labelled Sign in. Enter the e-mail address you used to register on GovernorHub and then enter your password. If you check the box labelled Keep me signed in, you will not need to enter these details the next time you visit GovernorHub. When you have entered your email address and password, just click the blue Sign in button and you will be signed in to GovernorHub. Note: If your email address has not been registered on GovernorHub you will need to contact your GovernorHub administrator (usually the clerk to your governing board) who can set you up as a member.